For the second chapter in a Harry Potter prequel franchise that started in 2016, we head to 2018’s Fantastic Beasts: The Crimes of Grindelwald. Set in the 1920s, evil wizard Gellert Grindelwald (Johnny Depp) spearheads a movement to lead the magic-imbued to rule the world. Though Grindelwald amasses a growing contingent of followers, others oppose his fascistic efforts. 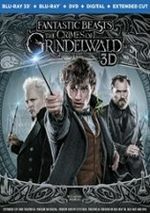 Among them, quirky wizard Newt Scamander (Eddie Redmayne) helps fight back against Grindelwald, and he also works to discover the secret behind the mysterious orphan Credence Barebone (Ezra Miller). If you read my notes about 2016’s Fantastic Beasts and Where to Find Them, you’ll see that I mentioned I never invested too much in JK Rowling’s “Wizarding World”. While I liked the Potter movies, I couldn’t count myself as a huge fan. Over the subsequent two years between Beasts movies, that attitude changed. On 4K UHD, I watched all eight Potter movies in close succession and found myself more engrossed in them. Indeed, this experience led me to finally read the books, an experience that brought me deeper into the Potter mythos. While I’ll never be a superfan, these developments took me toward Crimes with more enthusiasm than otherwise would’ve occurred. No, I didn’t much like Beasts, but given my newfound interest in Rowling’s universe, I felt optimistic the sequel would work better for me. Alas, this didn’t occur. Like Beasts, Crimes came with a mix of flaws and became a spotty experience with only occasional positives. Indeed, Crimes shows virtually all the same pros and cons as the prior film. The two provide such similar positives and negatives that I became tempted to simply cut and paste much of my Beasts review. I didn’t, but I’m not sure what new I can say in terms of Crimes. Like the first film, the sequel’s story seems like a mess, as it jumps from characters/narrative elements with little logic or clarity. This means we spend time with roles we barely know, and the movie fails to explain them well. We receive mediocre exploration of the different participants, and the film tends to lose track of them too often. Nominally Newt acts as the lead, but a lot of Crimes leaves him in a passive part. Granted, that held true of Harry during the early movies in that franchise, but at least we got a story that revolved around Potter, so even when he didn’t have much to do, he stayed the focal point. That doesn’t occur for Beasts, and Newt often feels like an afterthought. Honestly, one could easily create a version of Crimes that omits Newt entirely, as he stays superfluous enough that the plot could work without him. Not that the other roles pick up the slack, as they seem underdrawn and often toothless as well. Like the first movie, the narrative does become more engrossing during the third act, but until that point, it tends to feel aimless and disjointed. I didn’t like Redmayne in Beasts, and he remains annoying in Crimes. Truthfully, the more I see of Redmayne, the less I like him, as he seems like an actor who lacks an intuitive side. As Newt, Redmayne does little more than deliver a collection of quirks and character traits. He never makes Newt a convincing person, as Redmayne’s emphasis on self-conscious oddness becomes a distraction. Like I mentioned, Crimes does work better in the third act, mainly because it focuses more on high-stakes action. It also ties together various loose ends and explains all the confusing story points that cropped up in the prior two acts. Because of this, the movie’s ending becomes fairly dramatic, and it points toward the third chapter in an exciting enough way to create anticipation for the next film. That’s fine, but I wish Crimes explained story/character beats better in its earlier moments and we didn’t need the exposition-heavy final one-third. 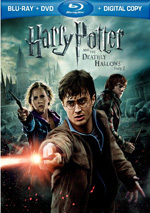 Like Beasts, Rowling wrote the screenplay based on her own original ideas, as unlike the Potter films, there are no novels to adapt. Rowling never wrote a script prior to Beasts, and I can’t help but think that these movies would be better if a professional screenwriter took the reins. Rowling did a great job with the Potter books, so I know she boasts talent as a novelist. This doesn’t mean she can shift smoothly into screenwriter mode, though, and I suspect some with more direct experience in that realm would’ve conveyed the material in a superior cinematic manner. On the other hand, Crimes features a director with too much experience, as it represents David Yates’ sixth entry in the Rowling universe. I liked the work Yates did with the final four Potter films, but I feel that a new director would’ve brought a fresh viewpoint to the Beasts series that Yates lacks. I get why the studio wanted to keep Yates, though, as his Potter films made tons of money. 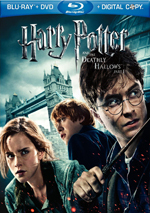 Beasts didn’t earn a dazzling take in the US, as its $233 million gross placed below all eight Potter movies, but it ended up with a worldwide total of $814 million. Crimes fared much less well, as it made about 33 percent less in the US. Again, international ticket sales helped redeem it, but even there, it declined significantly. With a worldwide take of $653 million, Crimes marked a 20 percent total fall from Beasts. Due to a massive $200 million budget, it barely squeaked by with a profit. Would a different director prompt higher sales? Perhaps, perhaps not, but creatively, I think the films would work better with a new director. Given that Yates remains slated to direct the remaining three movies in the series, I guess we’ll never see what someone else can do with the “Wizarding World”. I maintain hope the next chapters will fare better than the first two, and Crimes delivers an erratic experience with too many inconsistencies to become a winner. 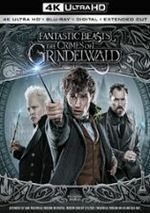 Fantastic Beasts: The Crimes of Grindelwald appears in an aspect ratio of approximately 2.40:1 on this Blu-ray Disc. Given that it came from the same crew, the visuals and audio of Crimes strongly resembled those of the first film. Does that make me lazy if I cut and paste my comments from that review? Probably, but hey, why reinvent the wheel? Overall, the film showed accurate imagery. A sliver of softness hit some wider shots, but the majority of the transfer showed nice clarity. I saw no jaggies or moiré effects, and neither edge haloes nor print flaws marred the image. As for the palette, it opted for a fairly desaturated bent. Some orange and teal appeared but in an abnormally subdued manner meant to match the period setting. Within those confines, the colors appeared fine. Blacks were dark and dense, while shadows showed good smoothness. A lot of the movie opted for low-light shots and these came with appropriate definition. All in all, the transfer satisfied. Even better, the film’s Dolby Atmos soundtrack excelled. Downconverted to Dolby TrueHD 7.1, the mix came with many magical moments that utilized all the speakers in a compelling manner. Because of this, we got a lot of information all around the room. Flying creatures/elements zoomed about the domain, and other action components managed to flit and dash. All of these combined into a broad, well-integrated soundscape that engulfed us in the action. Audio quality remained pleasing. Speech was natural and concise, as the lines remained intelligible and lacked edginess. Music appeared full and rich, and effects dazzled. Those elements came across as dynamic and bold, with excellent low-end response. From start to finish, the movie’s soundtrack worked exceedingly well. As we move to extras, we start with A World Revealed. In this 10-minute, 15-second piece, we hear from producer/screenwriter JK Rowling, producer David Heyman and director David Yates. “Revealed” looks at story/characters as well as the challenges Rowling faced as screenwriter. A few good nuggets emerge but much of the show feels superficial. With Wizards On Screen, Fans In Real Life, we get a 19-minute, 22-second piece that offers a chat between actors Ezra Miller and Evanna Lynch. “Screen” allows Potter castmember Lynch to cross paths with Beasts performer Miller. Together they view scenes from Crimes and give some remarks. It’d be interesting to hear them compare notes on their “Wizarding World” experiences, but instead they make inane statements about the movie. There’s little of value here. Distinctly Dumbledore fills nine minutes, 31 seconds with notes from Yates, Rowling, Heyman, costume designer Colleen Atwood, and actors Jude Law, Johnny Depp and Eddie Redmayne. This program covers casting younger Dumbledore and this take on the role. We get a good array of insights here. Six segments appear under Unlocking Scene Secrets. All together, these last a total of 49 minutes, nine seconds and present comments from Yates, Heyman, Rowling, Law, Redmayne, Miller, Atwood, Depp, VFX supervisors Tim Burke and Christian Manz, supervising art director Martin Foley, set decorator Anna Pinnock, production designer Stuart Craig, construction manager Paul Hayes, HOD prop modeller Pierre Bohanna, supervising creature puppeteer Robin Guiver, graphic designers Eduardo and Miraphora Mina, HOD décor and lettering artist Julian Walker, art director Sam Leake, supervising sculptor Jason Denham, senior prop modeler Paul Marsh, stunt coordinator Eunice Huthart, assistant stunt coordinator Marc Mailley, and actors Victoria Yeate, Claudia Kim, Alison Sudol, and Zoe Kravitz. “Secrets” examines various sets and the depiction of Hogwarts, new characters and magical creatures, action and stunts, effects, and performances. Like the set’s other extras, this one feels a like puffy, but it still conveys more than enough information to make it worthwhile. 10 Deleted Scenes span a total of 14 minutes, 23 seconds. These tend toward character bits. As such, don’t expect fireworks. A few expand the roles and relationships in a minor manner, though. Like the first film in the series, Fantastic Beasts: The Crimes of Grindelwald ends on a fairly exciting note. However, it can be a grind to get to that point, as the movie seems underdeveloped and confusing during too much of acts one and two. The Blu-ray offers very good picture as well as excellent audio and a decent array of bonus materials. Maybe this franchise will come together with Beasts 3, but so far it disappoints.